Speaking of googly eyes, a radio announcer in my hometown, Dave Pratt, used them as part of an April Fools joke he played on his wife. I think I am going to do this to my fridge one day this summer just to give the kids a good laugh. 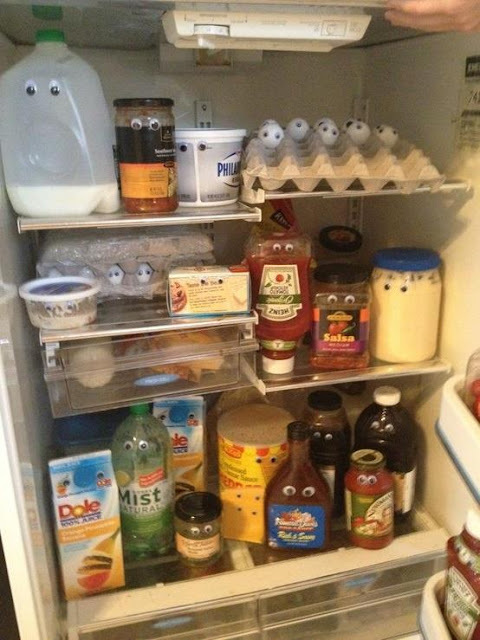 Plus it is a good use for my stash of googly eyes.